The idea for this painting sprung out of my desire to paint this beautiful Peruvian weaving. It shows up in another very similar, but larger painting. 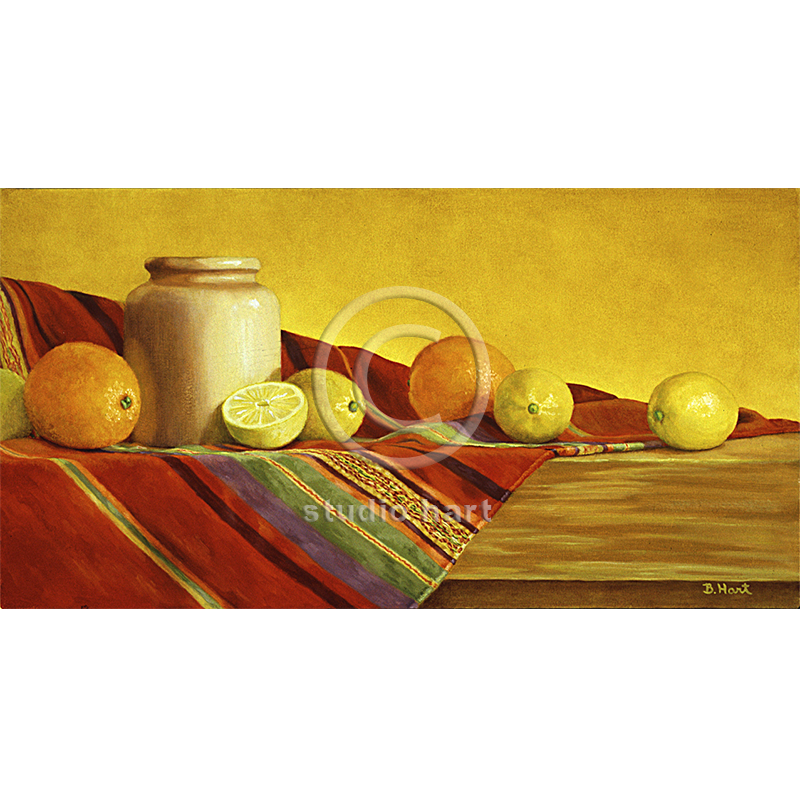 I have always loved painting fabric and the colors just seemed to scream lemons. Very cheery, don’t you think?